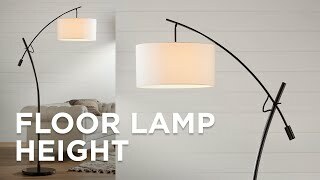 A clean, white mushroom shade gives this swing arm floor lamp a simplistic beauty. Finished with a deep rust color, this swing arm floor lamp is the perfect texture complement for a richly designed room. A stacked hinge design offers flexibility of placement as well as a flair of contemporary appeal. 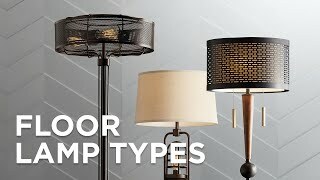 This lamp's transitional design style makes it a good fit for many different room designs. 59" high overall. Round base is 10" wide. Shade is 6" across the top x 16" across the bottom x 10" high. Swing arm floor lamp from the Bellhaven collection. Adjustable swing arm allows you to position the light for reading and other tasks. 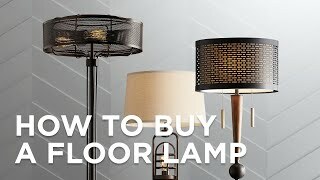 A traditional floor lamp design from the Cal Lighting brand. Rust finish. Mushroom pleat off-white shade. I really liked the type of shade and the color of the of the metal. It'seems a great style--not too contemporary but also not "colonial." The stylish contemporary look of this brushed steel floor lamp is complemented by a versatile swing arm that allows adjustment to find the perfect illumination for reading or just catching up. This oil rubbed bronze swing arm floor lamp is great for task lighting as it adjusts and comes with a three-way socket installed. The sleek modern design of this satin nickel floor lamp features an adjustable swing arm to perfectly position your lighting. This dark bronze finish adjustable energy-efficient LED pharmacy floor lamp offers a streamlined take on a classic silhouette.